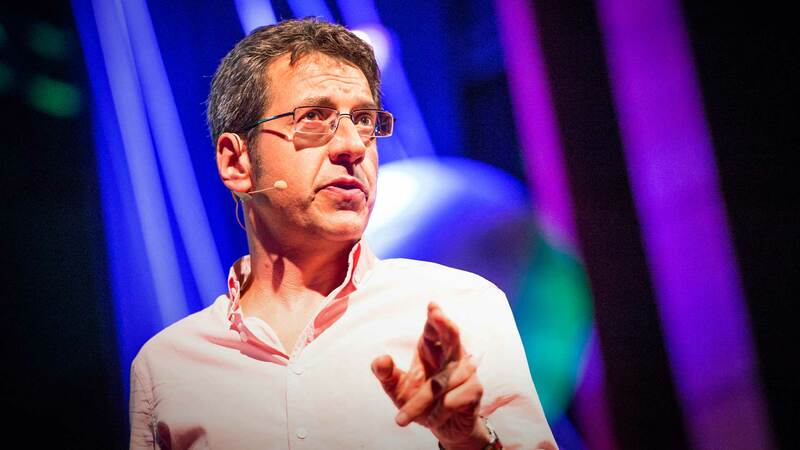 George Monbiot believes the world is being battered by a "full frontal assault on democracy" by a "class of global elites". Dr Matthew Mitchell says it’s time to make a stand. WE LIVE IN A world of empire. The empire is based on extracting resources and wealth from across the globe. And it is in its final days of decline. The monetary system has created too much debt – an instrument of wealth extraction – and its extractive toll is now collapsing both the global economy and the eco-system. Citizens in Western countries managed for a century or so to grab back some of the wealth. This was due to several factors. One factor was that the system needs consumers; another that the resistance that everyday people put up first in the form of violent revolt; then, later, more successfully in the form of trade unions. However, the logic of the system is still in place. The Dickensian long work hours ‒ poor conditions that Westerners thought they had shrugged off ‒ have continued in less developed nations and, with globalisation, conditions in the West are deteriorating. Labour unions lose effectiveness when employers have no loyalty to nation states and can – and do – move production to more amenable environments — environments with no labour or environmental protections. Services which cannot be sent off-shore (transport, hospitals etc) are declared “essential services” and strikes are banned by law. This leaves only less critical service industries such as hospitality which, filled with temporary and casual workers, are poorly unionised and no threat to the system. This process of sending jobs to nations with low wages and low costs – due to a lack of protections for people and the environment – is hollowing out Western nations and, by many measures, America is largely a third world nation. The problems are added to by extractive banks which over-lend and also by the fact that everything we call progress is really just shifting production — either to cheaper workers offshore or to fossil fuel based processes and automation. Both of these increase the global economy’s dependence on fossil-fuels and make the extraction of carbon based energy sources an imperative to keep the system going. Thus we have an almost unstoppable push to shale, oil and coal seam gas (CSG) production, despite the obvious damage this does to the environment, including destroying whole mountain ranges and an area the size of England in the Canadian wilderness — not to mention adding to the atmosphere’s overburden of greenhouses gasses. Do not make the mistake of thinking that these elites have any forward thinking. As Pulitzer Prize winning journalist Chris Hedges says, they mistakenly believe that their wealth will protect them as society inevitably collapses due to the pathological system which supports them. It is only a matter of time before these processes of social and economic regression hit Australia. We need to start building localised, resilient communities. And we need to do it soon, as the global financial system is hanging by a thread, as foreigners are reducing their buying of US treasury bonds, and even everyday Americans are apparently switching to other currencies as currency-collapse preppers. One proposal for Australian communities could prepare is presented at 8thstate.net. This may not be best approach for all or any communities, but we desperately need ideas, and this may be a starting point. The importance of community in a crisis cannot be underestimated. Compare Haiti with neighbour Cuba: both experienced serious crises in recent decades — Cuba an economic collapse, Haiti an earthquake. Cuban’s strong community pulled them together and they emerged as strong as before. Haiti, however, with its dysfunctional society fractured into a social and environmental dystopia. How could western nations possibly face this same fate? Well our own governments may contribute, and need to be watched. George Monbiot, writing in The Guardian, sees new “trade agreements” like the Trans-Pacific Partnership ‒ covering the Pacific rim ‒ and the similar Transatlantic Trade and Investment Partnership ‒ covering the Atlantic ‒ as a “full frontal assault on democracy” for the nations that sign up. The truth is, even without these secret agreements, many in the West feel that their governments are betraying them for corporate interests. This has led to warnings by Chris Hedges that the United States is a ‘tinder box’ that could easily erupt into a popular rebellion. 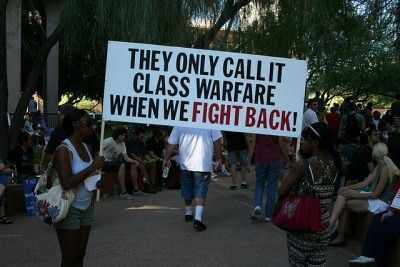 He suggests that we are in the midst of a class war, due to the ‘insatiable selfishness and hedonism’ of the oligarchs, whom he describes as our ‘ruling elite’. And he is not alone in this opinion. Australia is equally at risk from those who would destroy it by “not sharing” and the willingness of our Government to enter into damaging agreements like the TPP make it clear that, like UK and the USA, it will be left up to everyday people to defend our nation. And given our leaders' failures to deal with our most significant problems, some believe that a people's movement is the Earth's only realistic hope.